Iris siberica 'Butter and Sugar' has creamy white standards and butter-yellow falls, both with greenish yellow veins. Excellent flower form. Often re-blooms! 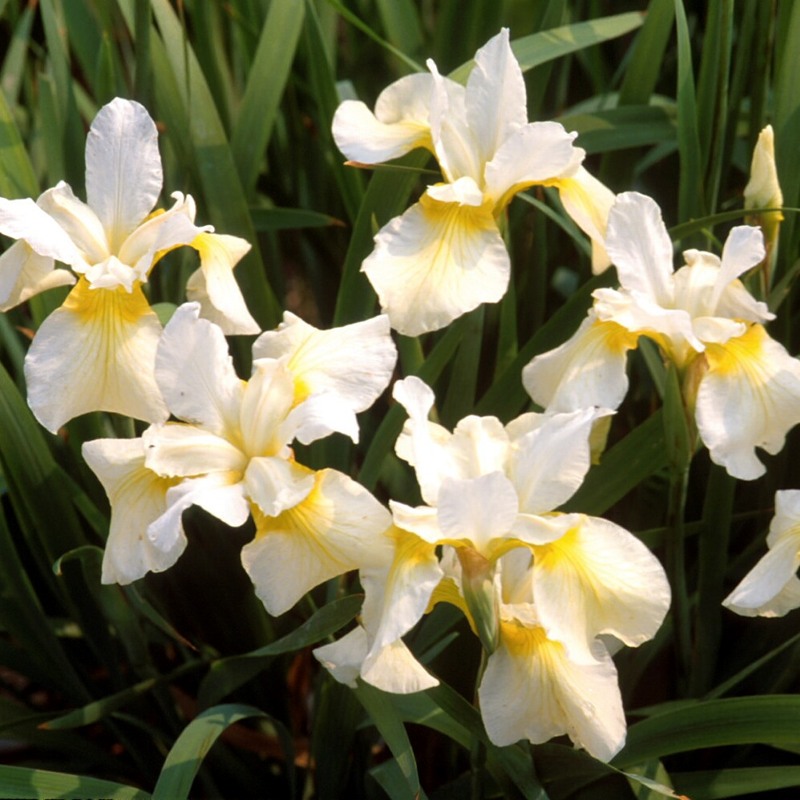 Siberian Iris like to grow in moist conditions, and are often considered bog plants. Our plants here in our display gardens are no where near a bog and they perform quite nicely. SUN EXPOSURE: Full sun to part shade.